Water Softeners - Southwest Water Treatment LLC. A Kinetico Water Softener will provide your family with a continuous suply of clean, soft water on demand. From multitank systems powered by the energy of moving water to a more traditional approach, Kinetico covers all your options. 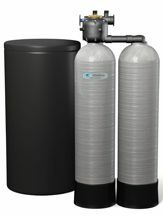 Ask us which water softener is right for you. 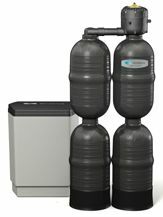 Kinetico Premier Series water softeners set the bar for water conditioning equipment. Powered by moving water, you’ll enjoy soft chlorine free water without the hassles and problems from electrical components. And since multiple tanks provide service even during regeneration, your family never has to wait for soft water. It’s available 24/7. Operation is based on your usage, so the system will only use salt and water when needed. Using Kinetico’s patented technology, your water professional can adjust your Premier Series softener to your specific water needs, maximizing salt and water efficiency. Backed by the most comprehensive warranty in the industry, you can rest assured that your family will enjoy the benefits of soft water for a long, long time. 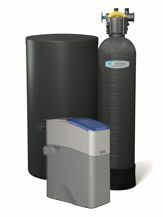 Kinetico Essential Series water softeners are a great fit for many households. Even with their small footprint, they have a lot to offer. These non-electric, demand based systems regenerate only when needed so you’ll save money and salt without having to tinker with timers or electrical components. And regeneration only takes a few minutes: a fraction of the time it takes other softeners to come back in service. Your whole household will enjoy the soft, fresh water a Kinetico Essential water softener provides. Powerline Series water softeners provide reliable, plentiful soft water. This single-tank electric system features a 12-day timer that puts you in control of when and how often the unit should regenerate. Powerline Series systems are tough on hard water and iron but easy on your budget. With a variety of models to choose from, they’re ideal for people with more predictable water use. The Powerline Series is an economical answer for eliminating hard water and iron.